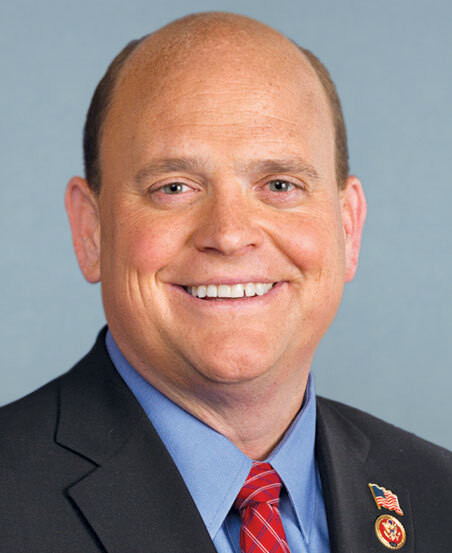 CORNING – Congressman Tom Reed (R-Corning, NY 23) is criticizing his opponent for supporting Medicare for All healthcare, also known as Single Payer Healthcare. Despite Reed labeling Medicare for All as an extreme liberal policy, a recent poll by Reuters found that 70 percent of Americans would support it. WRFA asked Reed if the proposal, and proponents like Mitrano, deserved the “Extreme Liberal” label if it has garnered such widespread and mainstream approval. “It’s concerning [Reuters] has been able to potentially message this in a way without actually attacking the substance of the proposal. Once seniors are aware that what they are proposing will cost $32 trillion, it will jeopardize their access to physicians, that it will destroy Medicare as we know it for themselves, those poll numbers are going to drastically change in my opinion,” Reed said. The $32 trillion dollar number Reed is citing covers a ten-year period and comes from a study released in July by the Mercatus Center at George Mason University in Virginia, a university-based libertarian policy center. 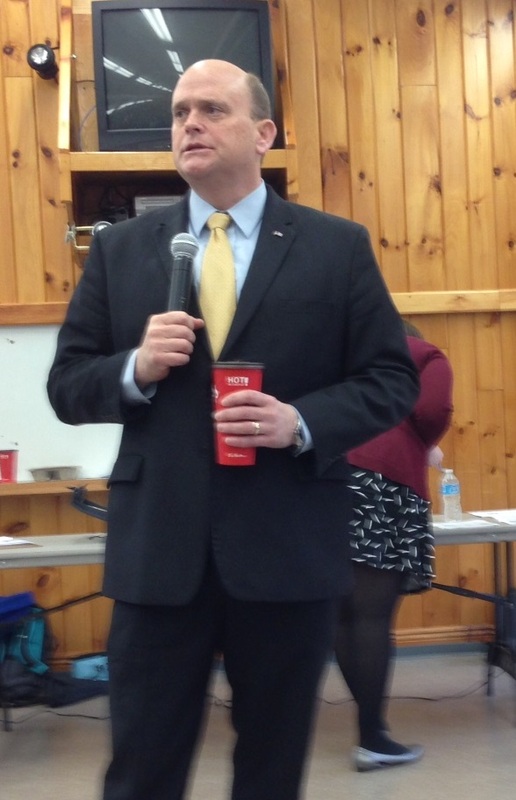 Rep. Tom Reed (R-Corning, NY 23) during a town hall meetings on April 14, 2018, in Gerry NY. Reed also said that Medicare for All would be a socialistic program, and the government shouldn’t be involved with paying for and administering healthcare plans for all Americans. Some have argued that the government already has other socialized programs in place – most notably public education – which all Americans benefit from. However, Reed said our country’s history of providing all residents with a basic education is a good example of an expensive program ruined by bureaucracy. Earlier this year, Reed said he would be in favor discussing several reform proposals, including raising or eliminating the payroll tax cap on Medicare and upping the age eligibility for the program – meaning more people would have to rely on private insurance companies longer into their life before signing on to the government-subsidized healthcare plan. Mitrano has a different take. “We cannot afford to have a president in this McCarthy-like era call these programs and these ideas – as Reed does also – ‘socialist’ or ‘like Venezuela.’ Those are scare tactics. What we need is ideas, thought, conversations and economists talking about it. We need people sharing their stories of what their healthcare experience is like to be in medical debt and we have the family business of Mr. Reed be in charge of collecting it. 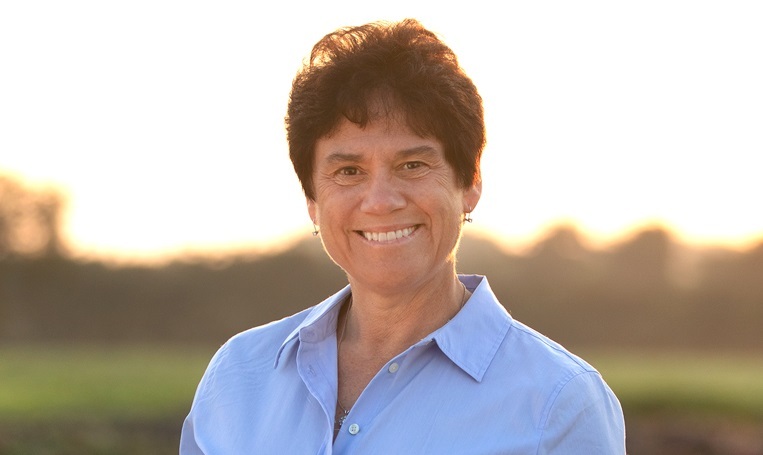 There’s something wrong in this district when we allow that kind of representative to be dictating healthcare, when he has that kind of family interest in the outcome of it,” Mitrano told WRFA in an interview that will be broadcast later this month. Mitrano is referencing Reed’s family’s involvement with RR Resource Recovery – a family-owned business providing account and creditor management services. According to a 2016 article in the Buffalo News, Reed listed himself as partial owner of RR Resource Recovery on his 2012 financial disclosure form. His wife was also listed as partial owner of the firm on the congressman’s financial-disclosure forms from 2013 to 2017. She reportedly drew between $15,000 and $50,000 in salary for each of those five years. Reed’s 2017 financial disclosure form also says his spouse is the partial owner of Twin Tiers Medical Billing, described as his spouse’s partially-owned business providing account billing services for customers in Corning, NY. No income was claimed for that business. In response to questions regarding the possible conflict of interest, Reed has said in the past that he has no nefarious motive for fighting single-payer-healthcare. He simply does not feel the government shouldn’t be involved and instead wants to focus on fixing the current system and making insurance more affordable all Americans. He’s also said that criticism focusing on his wife’s business involvement with a collection agency is a personal attack on his family. 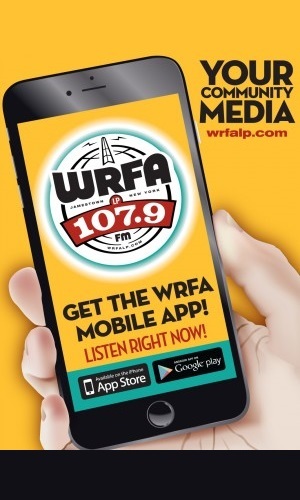 WRFA will feature an election preview with interviews from both Reed and Mitrano later this month on Oct. 25 and Nov. 1 on our Community Matters program (5 p.m. Thursday, Noon Sundays on WRFA).